With the Vedic maths system gaining popularity all across the globe, you too have landed here to get answers for all your curiosities on the subject. We believe, we can help you with all the information you’ve been seeking about Vedic Maths and its methods. The “ancient Indian” gift to the mathematical world. Vedic Maths is the World’s fastest calculating system and was originated in ancient India. It enables performing calculations 10 times faster than the conventional method. It is an elaboration of the 16 sutras (and 13 sub-sutras) derived from Vedic calculating system as mentioned in the ancient Vedas (particularly ‘The Atharva Veda’) of India. These Vedic sutras were rediscovered by Shri Bharti Krishna Tirathji Maharaj in between 1911 to 1918. 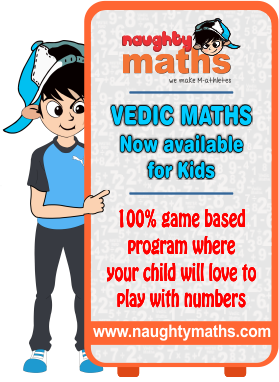 Vedic maths deals with true understanding of numbers and arithmetic operations. Vedic Maths The “Master Mind” way! Master Mind adopts modern mathematical tools to tutor every student. These tools are in the form of games, software and teaching methodology in classrooms. The interactive and fun ways demands high involvement yet less stress and fatigue. As students learn the Vedic maths techniques with us, they realize that any problem has more than just one “correct” solution that is taught in schools. Vedic Maths doesn’t only teach how to get the right answer, it also develops a “number sense”. It cultivates strong logical thinking & problem solving skills. Regular & efficient practice of Vedic Maths methods lays sound effects on one’s mind.